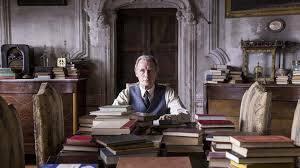 The Literary Guild of St. Simons Island Film Series presents The Bookshop, UK, 2017, directed by Isabel Coixet. In 1959 England, free-spirited widow Florence Green follows her lifelong dream by opening a bookshop in a conservative coastal town. While bringing about a cultural awakening, she earns the polite but ruthless opposition of a local grand dame and the support of a reclusive, book-loving widower. 110 minutes; rated PG. When: Wednesday, May 29, 7:00 p.m.